Drake officially owns the Billboard charts, where seven of his songs currently sit in the Top 10. All 25 tracks from Drake’s ultra-popular “Scorpion” album, released on June 29, are on the Billboard Hot 100 chart. His former No. 1 hit, “Nice for What,” returns to the top of the chart, while “Nonstop” debuts at No. 2. 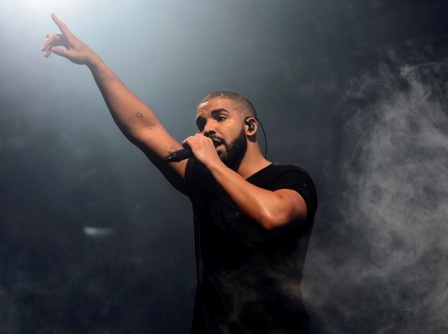 Drake’s other songs in the Top 10 are “God’s Plan,” “In My Feelings,” “I’m Upset,” “Emotion­less” and “Don’t Matter to Me,” which includes previously recorded vocals from Michael Jackson. Drake’s new feat breaks the Beatles’ 1964 record, when five of their songs reached the Top 10 in the same week. Overall, Drake has 31 Top 10 hits, tied with Rihanna. They only trail behind The Beatles (34) and Madonna (38). “Scorpion” sold 732,171 equivalent albums – based off album sales and streams – to debut at No. 1 on Billboard's 200 albums chart. The album earned a record-setting 745.9 million on-demand audio streams and is his eighth No. 1 album on the chart. Since 2009 Drake has launched 186 songs on the Hot 100 chart. He is second to the cast of ``Glee,'' which has had 207 songs enter the chart.